“Face” is extremely important to many Vietnamese and you should try not to put Vietnamese counterparts in an embarrassing situation or one that calls for public back­tracking. Fear of losing face often makes Vietnamese wary of spontaneous give-and- take, unscripted public comment, or off-the-cuff negotiation. Tact, sensitivity, and discretion are considered the most effective approach in dealing with disagreements or uncomfortable situations. Westerners often view the idea of face as quaint, but to many Vietnamese it matters a great deal, and the loss of face by your contact could very well mean the loss of your contact. Consensual decision-making is very deeply ingrained in Vietnamese social and political behavior. "Consensus" means different things in different societies. In Vietnam, it often means that all parties with a voice can wield a veto and must be brought on board. In building a consensus, it may prove impossible to "steamroll" the minority opinion, which must be wooed instead. To take the Central Government as an example, the lead ministry on a given issue may be unable to advance its positions if other ministries with seemingly minor involvement in the decision oppose it. Unless the latter can be won over, the result is a stalemate. Western businesspeople sometimes become frustrated with the apparent inability of the person across the table from them to make a decision (even if the counterpart is quite senior), or the fact that decisions once made are inexplicably reversed. This is indicative, not of the person’s ability or willingness to work with foreign businesspeople, but of complexities behind the scenes and the fact that the apparent decision-maker does not always have the only say in negotiations. The concept of a “win-win” business scenario is not widely ingrained in local business culture. This is important to keep in mind when negotiating with a Vietnamese organization. Once a deal is struck in principle, Vietnamese companies may want to take more time to improve their terms and even re-negotiate - adding time to business deals. Relationships are also very important in Vietnam, as they are in general throughout the region. Your counterpart will want to know with whom they are dealing before getting in too deep. American businesses need to understand this aspect and be patient if their Vietnamese counterpart seems reluctant to move on a transaction immediately. Introduction: When initiating contact with a Vietnamese entity, it is often best to be introduced through a third party as people outside a person's known circle may be regarded with suspicion. An introduction from a mutual friend, acquaintance or known business associate before initial contact can help alleviate some of the problems that arise in initial correspondence or meetings. If it is not possible to have a third party introduce you, self-introductions should start with an explanation of what led you to contact this particular organization. This will help the Vietnamese side understand how to relate to you. Names: Vietnamese names begin with the family name, followed by the middle name and finally the given name. To distinguish individuals, Vietnamese address each other by their given names. Therefore, Mr. Nguyen Anh Quang would be addressed Mr. Quang. Pronouns are always used when addressing or speaking about someone. You should always address your contacts as Mr., Mrs., Ms. or Miss followed by the given name. Vietnamese often reciprocate this custom when addressing foreigners. Ms. Jane Doe would typically be addressed as Ms. Jane. If you are unsure how to address someone, ask for advice. Correspondence: Your first contact with a potential Vietnamese partner should be long on form and fairly short on substance. 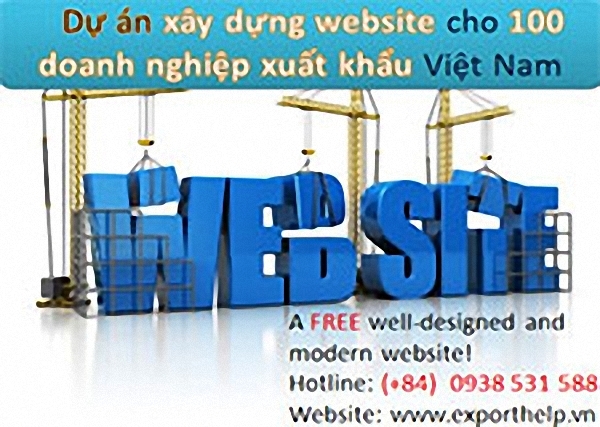 Effort should be spent on introducing yourself, your company and objectives in the Vietnamese market place. Relatively little emphasis should be placed on the specifics of your objectives. Your correspondence should end with pleasantries and an invitation to continue the dialogue. Business Meetings: Establishing operations or making sales in Vietnam entails numerous business meetings, as face-to-face discussions are favored over telephone calls or letters. A first meeting tends to be formal and viewed as an introductory session. If you are unsure of exactly who in the organization you should be meeting with, you should address the request for a meeting to the top official/manager in the organization. It is helpful to submit a meeting agenda, issues to be discussed, marketing materials, and/or technical information prior to the actual meeting. This will allow the Vietnamese side to share and review information within the organization in order to ensure that the correct people participate in the meeting. It is also wise to do your homework ahead of time to ascertain the scope of responsibility of the entity with which you wish to meet. Much time can be wasted talking to a department or ministry that does not really have jurisdiction over your project or issue. A meeting usually begins with the guest being led into a room where there may be a number of Vietnamese waiting. The Vietnamese principal is rarely in the room when the guests arrive and you will be left to make small talk with the other meeting participants until the principal makes his or her entrance. It is common for a third person (from either side) to introduce the two principals of the meeting. Once this is done and all participants have been introduced to each other and have exchanged name cards, participants can take a seat. Seating for a meeting is generally across a conference table with the principal interlocutors in the center and directly across from each other. Other participants are generally arranged in a hierarchy on the right and left. Generally, the farther one is from the center of the table, the less important one is. Sometimes the meeting will take place in a formal meeting room where there are chairs arranged in a 'U' pattern. The principals will take their seats in the two chairs at the base of the 'U' with other participants arranging themselves in rank order along the sides of the 'U'. Meetings generally begin with the principal guest making introductory remarks. These remarks should include formal thanks for the hosts accepting the meeting, general objectives for the meeting, and an introduction of participants and pleasantries. This will be followed by formal remarks by the Vietnamese host. Once the formalities and pleasantries are dispensed with, substantive discussion can ensue. Even if the principal host is not heavily involved in the details of the conversation, guests should remember to address the principal in the conversation allowing him or her to delegate authority to answer. A general business call lasts no more than one hour. Usually, the visitor is expected to initiate or signal the closure of the meeting. Hiring a reliable interpreter is essential, as most business and official meetings are conducted in Vietnamese. Even with the increasing use of English, non-native English speakers will need interpretation to understand the subtleties of the conversation. When working with an interpreter, one should speak slowly and clearly in simple sentences and pause often for interpretation. One should brief the interpreter on each meeting in advance. Business Attire: Normal business attire consists of a suit and tie for men and suit or dress for women. During the hotter months, formal dress for men is a shirt and tie. Open collar shirts and slacks may be worn to more informal meetings depending on the situation. The trend in the South is to be more casual; suit jackets are worn only on very formal occasions and first meetings. International Direct Dial (IDD) and fax services are widely available at most hotels. Communication costs in Vietnam have declined significantly in recent years. Internet services can be accessed through hotel business centers or from a growing number of Internet cafes. More and more hotels offer broadband access in their rooms and many coffee shops offer WiFi access for patrons. Internet services continue to experience cost reductions and quality improvements, although the reliability of the connections can vary depending upon location. Mobile phones are ubiquitous. International Roaming for mobile telecommunications is available in Vietnam. Travel within Vietnam is becoming easier with more domestic flights between major cities. A round trip ticket between HCMC and Hanoi is currently about $230 for economy class and $405 for business class. Vietnam Airlines and Jetstar Pacific Airlines are the two carriers currently flying domestic routes. Trains and buses in Vietnam have extensive routes and offer a cheap way to travel. Traveling by train or bus is recommended only for the most seasoned and hardy of travelers. In major cities, metered taxis are plentiful and relatively inexpensive, especially in the large cities where numerous taxi companies compete for passengers. A car with a driver is also an option in major cities and can be rented for between $50 and $100 per day. For destinations outside major cities a car and driver is the recommended means of transport. Cars can be booked through most major hotels or tour companies. Vietnamese is the official language. Use of English is becoming more common, especially in the larger cities and in the rapidly expanding tourism sector. Most local medical facilities do not meet western hygienic standards and may not have the full range of medicines and supplies available in typical U.S. facilities. However, there are several small foreign-owned and operated clinics in Hanoi and HCMC that are exceptions to this rule. Vietnam is twelve hours ahead of Eastern Standard Time and 11 hours ahead of Eastern Daylight Time. Vietnam consists of a single time zone. During the weekdays, business hours are typically 8:00 a.m. to 5:00 p.m. with a one hour lunch break. On Saturdays, work hours are from 8:00 a.m. to 11:30 a.m. Vietnamese Government offices have recently moved to a 5-day workweek and are no longer open on Saturdays.